UPDATE AUG 2011: Jo Abram (aka JM Merchant) is now a staff member at Milliver’s Travels. 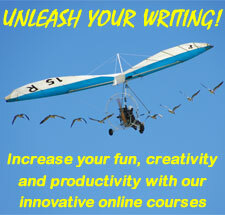 IN MY ATTEMPTS to avoid writing, I found a very interesting website, Fear of Writing. This is run by a wonderful lady called Milli Thornton, who seems to love nothing more than helping writers find their love of writing again. One of my favorite parts of the blog attached to her website is the regular 10K days. Two of these days are scheduled every month, and the aim is for each participant to write 10,000 words in one day, or simply as many as they can manage. Though I haven’t taken part in one yet, from reading the blog there is a great community feel to these days. I can’t wait for the August dates to come around, and I’m hoping to use these days to help me make progress on my novel. Milli runs a couple of other blogs, including Milliver’s Travels. 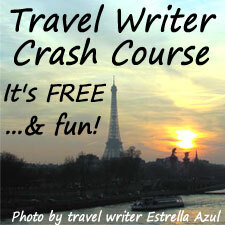 On Friday, a notice popped up in my Twitter feed about a travel writing crash course. 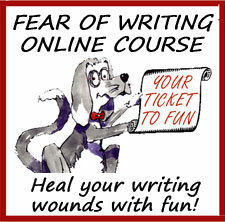 I assumed that would be literally all it was, just another writing course, but no. 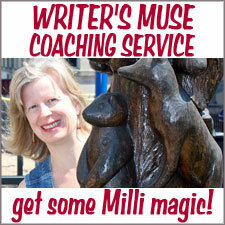 Milli is offering to tutor people through writing a travel article to be published on her blog. As soon as I read the post I started thinking Tatapouri, Franz Josef, Rotorua . . . then followed this with “Don’t be daft! You can’t write anything good enough for someone else to post on their site!” But I couldn’t stop thinking about it. The post was open somewhere on my desktop all day and I kept coming back to it. That evening I read Milli’s submission guidelines on Milliver’s Travels about 20 times before typing up a tremulous email query. I read it back several times, let it sit for an hour, read it again and then hit Send. Now, I certainly wasn’t expecting to hear back from her before the end of the weekend. Milli emailed me back in an hour! And, crikey, was she excited! She’d been hoping for a while now that someone would offer her some New Zealand content—and there I was offering her enough for a potential series of posts. After reading her reply to my query I literally bounced around the room, cursing and swearing out the nerves and excitement, before composing my reply. And now I’m halfway through writing the first draft of my first article! Hopefully it’ll be finished tomorrow evening, then I can send it to Milli and wait for her judgement. It’s a scary experience, knowing you have the attention of someone whose work you’ve been reading from afar and have come to think of as an expert in their field. Despite being scared I’m very excited as well. I’m hoping this experience, while getting my work seen by a wider audience, will also kickstart my other writing projects and allow me to work on them in a happier and more productive manner. Editor’s note: After completing her first story for Milliver’s (and before even seeing it published), Jo was so excited and inspired, she was already planning her next New Zealand story—as well as a story about one of her favorite haunts in London, where she lives. Thanks, Jo! Anyone else out there game to follow in Jo’s footsteps? Remember, stories about attractions from your local area will delight me just as much as exotic locations. JM Merchant (or Jo Abram to most) lives in the North End of London, although she aspires to the West End. An occasionally employed sound engineer and stage manager, most of her time is currently spent reading pirate tales as she works on her first novel. She blogs and posts short stories at Am I A Writer Yet? and tweets as @JeffPipJo. Awesome post, Jo. Thanks for sharing your story. I haven’t made it to Milliver’s yet, but I will ASAP. Will catch you both when I can! 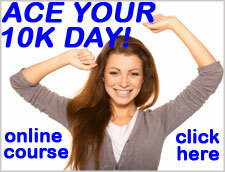 Look forward to seeing you over at MT, maybe you’ll even join us on the guest blogger team. This article has me excited! 😀 I’ve been wanting to check out one of the attractions in our area. I need to talk to my hubby about it so I can know for sure. If we don’t do what I have in mind, maybe we can do something else. I’m glad you enjoyed the article Lois! 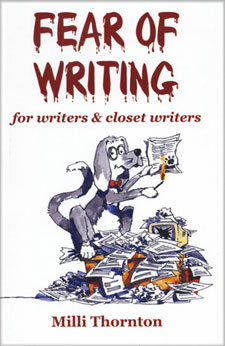 Do it, get out there and write about any attraction or experience, local or otherwise. My next MT article, which I think goes live next Wednesday, is about an event I worked on at The Southbank Centre in London. Excited to see what you produce. Jo – I love the way your mind works! I thought I was the only one who does that (i.e., looks at the world through the eyes of “Could this be a story for Milliver’s Travels?”) You can be my new recruiting officer – LOL! By the way, I only have one story for the beer category, so a post about the pub you work in would be very welcome. And fun.